At Sedgwick & Co, we are devoted to crafting leather with provenance. We have a select number of UK suppliers, all of whom can provide us with precise information regarding the age of the animal and where it lived. We guarantee that all animal hides we use are past a certain age to ensure that it has lived a longer life before it comes into our hands. 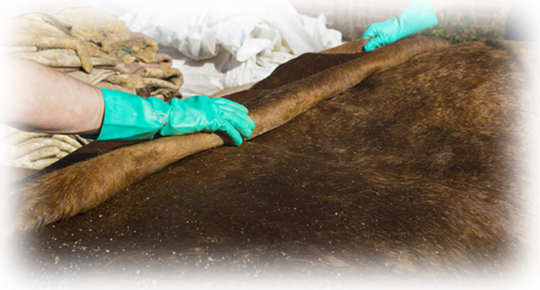 All the way through our process, we consistently have access to information about the hides we use by referring to their unique traceable batch numbers.